Although the offseason for the Minnesota Wild is slowly coming to an end, the Minnesota Wild organization has one more problem to deal with before the start of rookie camp and training camp at the end of September. 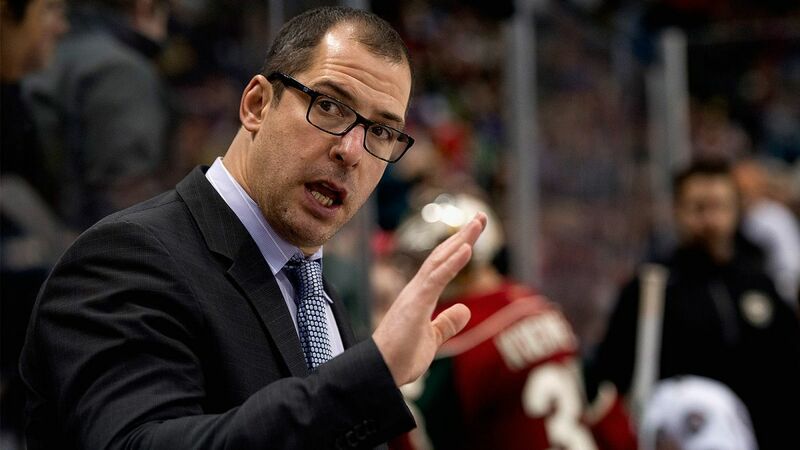 Minnesota Wild assistant coach, Darryl Sydor was arrested Thursday night for driving while impaired. At the time of the incident, Sydor was driving his 12-year-old son to his hockey game. When stopped by the police and given a breathalyzer test, it was recorded that Sydor’s level was almost four times the legal limit in the state of Minnesota. After being stopped by the Fridley Police, Sydor had difficulty finding his drivers license in his wallet. As stated in the arrest report by the Fridley Police Department, Sydor had “bloodshot, watery eyes, and spoke in a slurred manner.” The Alberta native was taken to the Anoka County Jail, and was charged with ” with two gross misdemeanor counts of second-degree driving while impaired with two or more aggravating factors.” Since Sydor’s 12-year-old son was in the car at the time of the arrest, Sydor was additionally charged with endangerment of a child. Sydor was released from the Anoka County Jail on Friday afternoon, after his first court appearance and bail was set. Darryl is set to return to court on October 12, 2015; he faces a maximum sentence of one year served in jail, and a fine of up to $3,000. Although the Minnesota Wild open training camp on September 17th, the Wild are not in terrible shape pending the outcome of Darryl Sydor’s case. Unlike many of the other National Hockey League teams, the Wild have three assistants on the bench during N.H.L games. If Sydor is found guilty, and sentenced jail time, the Wild would end up having two assistant coaches on the bench, which is quite typical in the NHL. Sydor was drafted by the Los Angeles Kings with the 7th overall pick in the 1990 NHL Entry Draft. The Canadian defenseman has additionally played for the Dallas Stars, Columbus Blue Jackets, Tampa Bay Lightning, Pittsburgh Penguins, and the St. Louis Blues. After retiring in 2010, Sydor has coached alongside Mike Yeo. Last summer, Sydor sought treatment for his alcohol addiction by entering a rehabilitation facility in Canada. The Minnesota Wild organization and hockey fans will have to wait until Darryl’s next court date, to find out more information regarding the case.